The UI1 is a portable USB battery charger with a max output of 0.8A, available for large-sized 20700, 21700 Li-ion batteries and more. It has multiple charging safeguards with a weight of only 40.5g (1.43oz), enabling the users to enjoy the inexhaustible power supply on the go. The UI2 is a portable dual-slot USB battery charger with a single slot max output of 0.8A, capable of charging 2 batteries simultaneously and controlling each slot independently while available for large-sized 20700, 21700 Li-ion batteries and more. It has multiple charging safeguards with a weight of only 79.5g (2.8oz), enabling the users to enjoy the inexhaustible power supply on the go. Specially designed for DJI Inspire 2, the DPE1 is a drone power expander to carry batteries twice as the conventional way of flying a drone and compatible with TB50 and TB55 batteries. Every year, ISPO honors the most extraordinary sporting products with the ISPO award. On Jan. 25 2018, NITECORE was invited to attend the award ceremony of ISPO Award. 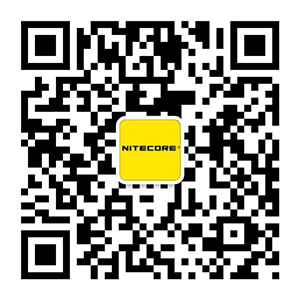 NITECORE F2 Flex Power Bank won the Gold Winner in the segment of outdoor lighting & energy. Every year, ISPO honors the most extraordinary sporting products with the ISPO award. On Jan. 25 2018, NITECORE was invited to attend the award ceremony of ISPO Award. NITECORE i8 Intelligent Charger won the Winner in the segment of outdoor lighting & energy. Vapinginsider.com announed i8 and SC2 as the best battery chargers in 2017 for vapers. i8 Multi-slot Intelligent Charger, monitors and charges each of the 8 slots independently, automatically detects power level of batteries and selects the appropriate voltage and charging mode. Held on April 14-16, the 2019 IECIE-Shenzhen stop has become the most influential e-cig expo in the world covering upstream (accessory supply chain) and downstream (end products and e-commerce solutions) of the industry, which is estimated to attract 50,000+ professional visitors form 45 countries and be the best platform for global e-cig technologies and brands to promote and showcase themselves. The Shenzhen eCig Expo (hereinafter referred to as IECIE) was held in Shenzhen, China, on April 14 - 16, which attracted numerous people like vapers, dealers, trading companies from all over the world.